On Saturday 19th April, The Shirley Sherwood Gallery opened at the Royal Botanic Gardens at Kew. It will exhibit precious works of botanical art from the collections of the Royal Botanic Gardens, Kew and Dr Shirley Sherwood, many of which have never been on public display before. Botanical art is experiencing a resurgence of interest amongst artists, collectors, botanists and naturalists. However, until now, there hasn't been a Gallery anywhere in the world which is totally dedicated to the year round display of botanical art. The Royal Botanical Gardens, Kew has a collection of 200,000 images of fine and rare examples of botanical art - but these could typically only be accessed by permission. Dr Shirley Sherwood has created what is probably the finest collection of contemporary botanical art today but was storing much of it despite arranging regular and temporary exhibitions of the Collection around the world. Neither had a satisfactory permanent home for their heritage collections - until now that is. This week I'm planning a series of posts about botanical art. This post is going to be about the brand new Shirley Sherwood Gallery at Kew, the opening day and the exhibition. I'll be highlighting some of the artists whose work is included in the exhibition. Tomorrow my post will be about the book that Kew Gardens has published to mark the inaugural exhibition - Treasures of Botanical Art. I've got such a long list of works which caught my attention, that this post will also continue to highlight some of the artists in the exhibition. On Wednesday, my post will be about the annual exhibition of the Society of Botanical Artists at Westminster, when I will highlight some of the artists producing prize-winning contemporary botanical art. On Saturday I went to the opening day of the new Shirley Sherwood Gallery at Kew - as did 654 other people. 1018 also visited on Sunday so I call that a pretty good start to a new Gallery on a very damp and drizzly weekend! If you're planning to visit the gallery in the future or have already visited it please comment below. Admission is free as it is included in the price of an entry ticket. I'm a Premier Friend of Kew so will be visiting a lot! The first thing you notice when you walk into the gallery is the lowered light levels - but you soon get to used to this - and I thought the lighting was impeccable as you can see from this picture. The gallery provides a tightly controlled environment for the botanical art in terms of light, temperature and humidity. It was busy but its design also seems to keep noise levels down. There is a large central room and then there are a number of side galleries - making it suitable to exhibit around specific themes. Heating and air conditioning have been designed to use a fraction of the energy a conventional building would use; special glass and blinds will automatically react to light – reducing the running costs of the building and thus reducing Kew’s carbon footprint. The intention is that botanical art should be on display all year round so there should always be something to see. In any one calendar year it will be possible to see three different exhibitions. Two new exhibitions will open each year. So one will open in Easter and run until early Autumn. Another will open in the Autumn and then run until the following Easter. The theme of the second exhibition is Trees and will open to coincide with Kew’s celebration of the Year of the Tree. From May visitors will also be able to encounter the Rhizotron and Xstrata Treetop Walkway enabling them to walk through the tree canopy amongst some of Kew’s oldest and largest trees. I gather from the staff that a future exhibition - in the 250th year of Kew - will be about The Art of Plant Evolution. 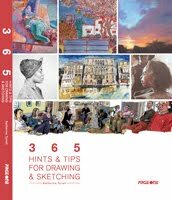 The new gallery can be reached very easily from either the Victoria Gate on Kew Road which is the largest entrance and is nearest Kew Gardens underground Station or the Lion Gate - also on Kew Road. It's opposite the Temperate House and is adjacent to the existing Marianne North Gallery which I highlighted in my previous (February) post Kew Gardens - two women and two galleries for botanical art. What I hasn't realised is that the Gallery is now attached to the Marianne North Gallery by a corridor. This will become a permanent gallery for the display of items from the Shirley Sherwood Collection - no matter what the main exhibition is about. The Marianne North Gallery has a permanent display of Victorian botanical and landscape paintings and is due to close soon for some extensive renovation and will be reopening in time for Kew's celebrations for its 250th birthday next year. I'll be doing a blog post about this soon - and the innovative 'adopt a painting' scheme. The short story is I ran out of superlatives as I was making notes while going round the exhibition. I have never ever before seen so much truly wonderful botanical art in one place. I'm going to have to pay a few more visits before I've taken it all in. 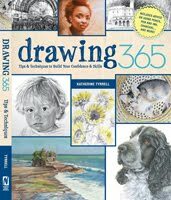 That said, I'm also definitely recommending that people keen on botanical art who are unable to visit the exhibition should all rush out and buy the book which I will be reviewing tomorrow! There are a 184 paintings on display, of which about two thirds are from the Shirley Sherwood Collection and about a third from the Kew Collection. The exhibition is organised so that works are presented in terms of the type of flower or plant with historical and modern art hanging side by side. As such it reminded me very much of Dr Sherwood's earlier book New Flowering: 1000 years of Botanical Art which adopted the same approach. It's certainly a very effective method of display. Here are just a few of the artists which deserve a mention. I'm going to focus on the 'older' artists today and then feature modern artists tomorrow (I've got a lot of link searching to do!). I was absolutely amazed to find that I was in an exhibition which had work on display by Basilius Besler, Maria Sibylla Merian, George Dionysus Ehret and Franz Bauer - but I was! Other notable artists represented include Marianne North and Margaret Mee. First, the exhibition includes a display of some very famous Herbals including the Hortus Sanitatis (The Garden of Health) which was one of the very first plant books to be printed - in Mainz in 1491. There is also a huge copy of Hortus Eystettensis on display which shows a full plate copper engraving of a Corona imperialis polyanthus by Basilius Besler. This is the book which "changed the nature of botanical art overnight". 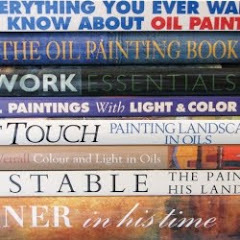 In 2001, a deluxe coloured copy of this book changed hands at Christies for $1.4 million. Reproductions continue to attract high prices. Basilius Besler¹s magnificent engravings are the first large-folio natural history botanicals. His work, Hortus Eystettensis (Garden of Eichstätt), is man¹s earliest documentation of a specific garden and is the oldest of all of the great botanicals. Over 1,000 varieties of flowers are depicted in 367 exquisitely engraved and colored plates. In the early 1600s, the Prince Bishop of Eichstätt, Germany created what was probably the first comprehensive botanical garden devoted to flowering plants. Many of the exotic flowers were imported from the Americas and the Ottoman Empire. What was also amazing to me was just how fresh much of the work appeared to be. Merian was born in 1647 and travelled to far-flung tropical lands to draw insects and plants, her combination of artistic talent and close observation of the subject in the field set a precedent for scientific illustration. The exhibition incudes an absolutely stunning hand-coloured lithograph of a painting of a Strelitzia by Franz Bauer. Here's what the Natural History Library has to say about Franz Bauer. Born in Feldsburg, Austria, Franz was the older brother of Ferdinand Bauer, the famous botanical artist. After arriving in England in 1788, Sir Joseph Banks employed Franz as a botanical artist at the Royal Botanic Gardens at Kew. For the next 40 years, Bauer illustrated the newly discovered plants from around the world that were introduced to England via Kew, where they were grown and studied for the first time in a scientific manner. Bauer provided illustrations for a number of botanical books, including his 1818 work Strelitzia depicta: or coloured figures of the known species of the genus Strelitzia from the drawings in the Banksian Library'. Bauer was probably the first artist to draw detailed plant dissections for recording purposes at Kew. He even drew greatly magnified pollen specimens with remarkable detail and accuracy, despite the optical limitations of the microscopes of his time. The brilliance and simplicity of the colours, the meticulous attention to detail, the gem-like highlights, the way the pictures seem to glow, all show the Company artists' Mughal training; the tentative washes of a memsahib's watercolour are a world away. Yet no artist working in a normal Mughal atelier would have placed their subjects detached from a landscape against a white background, or with flowers cut into a perfect, scientific cross-section, as is usual in Company botanical images. Two traditions met head on, and from that blinding impact an inspirational new fusion took place. In time, the Company style came to be used by British officials all over India to record many facets of Indian life, including the flora and fauna that came to fascinate the British. Its extreme precision meant that it quickly became recognised as the perfect medium for illustrations to the different schemes of classification that appealed to the Enlightenment minds within the Company. There are many, many artists and works from history which deserve further mention. It's impossible to do them all justice in one blog post - and I may well return to this topic in future posts before the exhibition finishes. World heritage - caring for and enhancing Kew’s heritage collections, buildings and landscapes, and communicating their universal value. The Royal Botanic Gardens at Kew are a World Heritage site and consequently needs to aim to be matching the best. While the new Gallery is undeniably a massive advance in terms of facilities for the physical display of a very limited number of botanical artworks, it doesn't as yet match the standard being developed for access to heritage collections of art around the world in recent years. Elsewhere the emphasis (partly in response to funding requirements) has been on opening up access to collections through the use of digital technology so that more people are aware and can better appreciate the contents of collections. 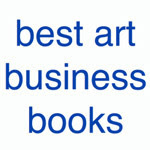 Most art galleries are unable to display all their collections at one time. However they now address this through the development of technological strategies and facilities. What I'd like to see on Kew's agenda for development are two key aspects which would help to promote both accessibility and education. dedicated microsites for each exhibition in the Shirley Sherwood Gallery - linked to the main Kew website. I'd like to see a dedicated microsite for this exhibition providing the sort of information as that which I have provided above through links to other websites run by the Natural History Museum and the British Library (and Wikipedia!). Information needs to be accessible in ways which don't depend on physically standing in front of a painting or buying the exhibition catelogue. A microsite has a unique URL and acts as a stimulus for visitors. It also permits people all around the world who are unable to visit to see a sample of what is on display in each exhibition. 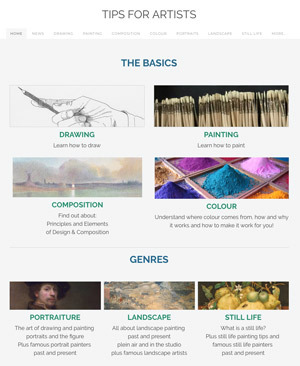 Microsites are becoming standard practice in many museums and art galleries and indeed one was developed for Kew Gardens for the recent Henry Moore exhibition. Doubtless funding would be required to develop exhibition microsites and doubtless there are a number of technology firms in the nearby technology corridor which would fall over themselves to sponsor such a site. After all, Royal, heritage and green are an unbeatable combination if you're seeking sponsorship! a linked IT gallery with touchscreens allowing access to archives of digitalised images of the botanical art in the collections. The IT Gallery at the National Portrait Gallery provides a model of the sort of facility which is being developed in various museums and art galleries to enable access to heritage collections of art. Hopefully this sort of facility will feature in future plans for botanical art at Kew. The question of sponsorship is not difficult if Kew looks to the technology 'giants'. For those who'd like to read even more about the new gallery I've included links at the end to all the various newspaper and magazine articles about the new gallery - which all include different images from the exhibition. 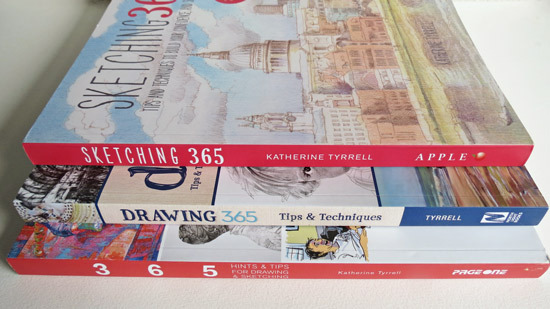 I've also added links in this post to my information site Botanical Art - Resources for Artists. 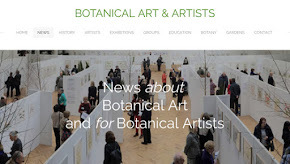 I know there are a lot of botanical artists who'd like to view the contents of this blog and read the links. Can I make a very rare request that you e-mail or tell them about this blog post so that we can all help spread the word about what a great resource this is. Anybody visiting London who is interested in botanical art should definitely plan on making a trip out to Kew. Of course, next year is the 250th anniversary of Kew - I can't wait to see what sort of exhibitions will be on display in the Gallery during the anniversary year! 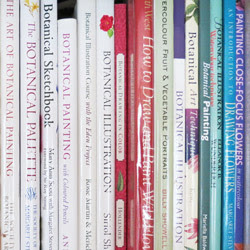 Botanical Art - Resources for Artists - many links of interest to botanical artists plus it contains a bookmark link to this blog post. All of the news articles about the new exhibition plus all of the links to historical figures and books are archived on this site in a section devoted to the new gallery. Links to botanical artists in history plus early herbals and florilegia are also archived on the site. 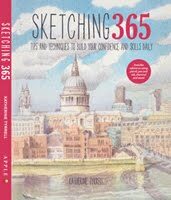 this looks wonderful and I wish I'd been there instead of Dulwich! The exhibition was interesting but not fantastic. Yet another reason to visit Kew this spring! Thanks for the heads up, and for the very informative post.